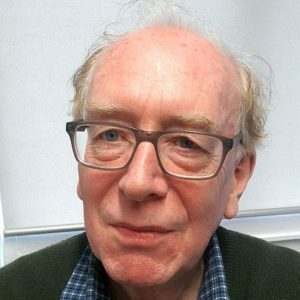 Peter K Smith is emeritus professor of psychology, Goldsmiths, University of London. He received his BSc at the University of Oxford and his PhD from the University of Sheffield. Following his doctorate, he continued at the University of Sheffield, obtaining a personal chair in 1991, before moving to Goldsmiths College in 1995. He was head of the Unit for School and Family Studies in the Department of Psychology at Goldsmiths from 1998 to 2011. He is a fellow of the British Psychological Society, the Association of Psychological Sciences, and the Academy of Social Sciences. In 2015, he was awarded the William Thierry Preyer award for Excellence in Research on Human Development, by the European Society for Developmental Psychology. He has published some 200 refereed journal articles and 28 authored and edited books. Books include the edited collections The Psychology of Grandparenthood: An international perspective (1991) and (with Adam Rutland) Childhood social development (2014). He is author (with Helen Cowie and Mark Blades) of Understanding children’s development, 6th edition (2015) and Understanding school bullying: Its nature and prevention strategies (2014) and Adolescence: A Very Short Introduction (2016).